A recent report by the Financial Times stated that under Obamacare, health insurance costs will jump by 25 percent on average for the most popular plans. The same report furthered that even the Obama administration itself projects that premiums will rise sharply for mid range plans in the coming year. As a result, rising healthcare costs are quickly becoming a concern for many Americans. For those with an annual income at or below the medicaid standard ($1,317 per month for an individual), Washington’s “Apple Health” will be available to provide the minimum essential coverage. For the rest of us though, engaging such a massive marketplace with nuanced differences between products is downright daunting. Moreover, if we aren’t careful in choosing between these plans, there could be serious financial or practical repercussions. To help you avoid making the wrong choice, we have identified the five most common ways consumers can overpay for healthcare costs. The secret to success lies in understanding your unique needs and exactly what each plan covers. If you’ve heard anything about insurance, then you’ve heard the terms “deductible” and “premium”. The deductible is the amount the insured party has to pay out of pocket before coverage kicks in. The premium is the amount paid to purchase a health insurance plan. Generally speaking, the lower the deductible is the higher the premium will be. Most consumers focus on the deductible when shopping for insurance. If the deductible is high (and the premium is low), the consumer is usually trying to minimize monthly costs to meet their budget. While high deductible plans may save you money on monthly premiums, they may be no bargain at all. Most consumers buy high deductible plans believing they will need minimal health care. For the young and healthy, this could be an acceptable option. In this case the value may be in having a safety net in case of a catastrophic injury. If so, make sure the plan adequately covers those types of events. However, if you are someone who may need semi-regular checkups, medication, or frequent medical care, a high deductible plan can quickly eat up any savings on the premium. A plan’s premium can be high for many reasons, including having a low deductible. Consumers who gravitate toward this type of plan assume that more of the health care costs will be paid for by the insurance plan and thus offset the incremental premium costs. Unfortunately when people buy high premium plans, they often do so out of fear. Believing that their health insurance must be top of the line to be fully protected, they overpay and choose a plan that includes far more coverage than they actually need. But high premiums don’t necessarily translate to better coverage for anyone and everyone. It may be that the plan has a high premium because of a specific benefit, for example how it covers prescription medications. The key question is, which benefits will you be most likely to use? If you have little need for prescription meds, find a different plan that has favorable coverage in the areas you are most likely to need. In many situations, you need to look beyond the premiums and deductibles and estimate total out of pocket costs for anticipated healthcare needs. Most healthcare packages offer services that are free prior to paying the total amount of the deductible — such as checkups and disease management programs. These fully or partially covered services are sometimes all a consumer really needs and can be the focus of an insurance search. On the other hand, certain extensive medical procedures shouldn’t even be considered through the lens of the deductible or premium. Say for example you and your spouse are going to have a child in the coming year. Due to the extensive medical costs associated with prenatal care and delivery, you’ll far exceed most deductibles. This doesn’t mean you’ll be fully covered upon meeting your deductible though. After the deductible has been paid, you may have to pay a portion of covered services (called coinsurance) until you reach your plan’s out-of-pocket maximum. In this or any scenario where major medical services are probable, your plan’s out of pocket maximum and coinsurance may influence your plan choice more than either the deductible or the premium. Many people purchase health insurance under the assumption that they will have access to the doctors or facilities of their choice. That isn’t the case. 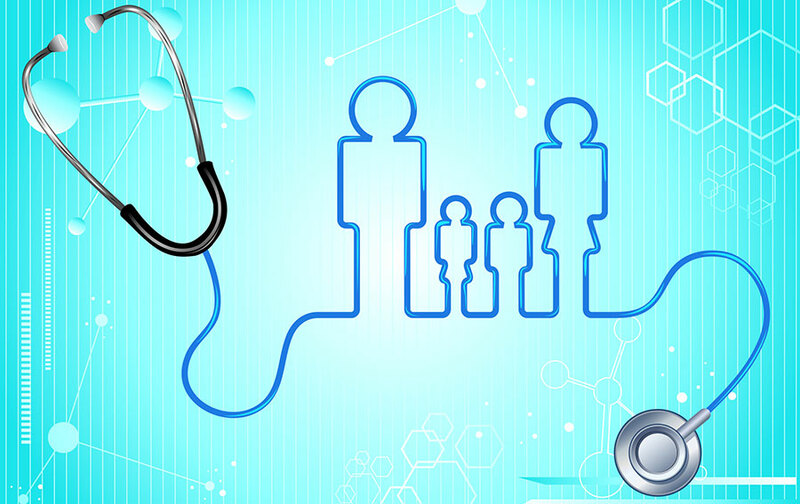 All health insurance plans have a particular network of healthcare professionals that they’re able to access. Even individual health insurance plans from the same provider can have different participating providers. If the health insurance plan you purchase doesn’t include your current health care providers, you won’t be able to use it without an added cost. To make matters worse, if you find yourself in this scenario unintentionally, you’ll be stuck with the network your new plan provides. Once open enrollment is over, you are prohibited from changing plans for the rest of the calendar year. To keep using the doctors and facilities you’re comfortable with, make sure your practitioners are included in your plan’s healthcare network. Not all medical services are covered in the same way between providers and plans. Even if the deductible and the max out-of-pocket are the same, what services are covered, and to what degree, varies from plan to plan. Some plans include lab procedures that aren’t subject to the deductible. Pay attention to these services and how they are covered when shopping for health insurance. If you need one of these services regularly and it’s subject to the deductible, it could end up costing you. Let’s say you have arthritis in your knee and will need a quarterly checkup which includes an x-ray. The hospital you use charges $200 per x-ray. If you have a plan where x-rays are subject to the deductible you’ll pay the full $200 out of pocket for each x-ray until you reach your deductible. Compare that to a plan where x-rays are excluded from the deductible. You might pay $40 per x-ray instead of the full $200. That’s an annual savings of $640. Routine procedures add up quickly so be sure to understand how each plan covers your most frequent or likely health care needs. The healthcare marketplace is a complex beast with some easily missed pitfalls. To find the right insurance package for your needs, you must be informed. Here’s an analogy: You’re purchasing a plane ticket from Seattle to New York, and you’re given 40 different flight combinations. Overwhelmed, you focus on what you know, the price and departure time. You narrow it down to two options, each with a layover of around 30 minutes, one in O’Hare, and one in Salt Lake City. You choose the flight that goes through O’Hare, because it just seems like a straighter shot. An experienced traveler or any good travel agent would know 30 minutes is not enough time to make a connection in such a busy, sprawling airport. Missing that connection will be a costly mistake and may ruin your trip. Health insurance is a purchase with much nuance and context. Missing a key detail such as those mentioned above could be financially devastating. If you have better things to do than getting a degree in health insurance, consider using a broker. During open enrollment, brokers are generally free to use. Around 80% of the available health plans pay brokers a commission. As a result, the majority of brokers work for free during open enrollment and accept only the commission paid directly by the insurance companies. Another benefit of working with a broker is that they often have access and knowledge about plans that are not included in the healthcare exchange. In many cases the best plan for you would be one you’d otherwise have a difficult time finding. If you like to take matters into your own hands, here are some additional resources that can help. As you approach open enrollment keep these tips in mind and you will make the most of rising healthcare costs. With a little forethought, information, and professional advice, you’ll be able to find a plan that covers all your needs and may not break the bank.